Described as a 'curious journey through our cosmic family tree', Jillian Scudder's Astroquizzical, takes the very positive inspiration of questions asked about the universe on Scudder's blog and gives us that 'curious journey' in light, readable prose. The family tree in question has Earth as our parent, the Sun as our grandparent, then the Milky Way and finally the universe. So we work outwards in a genuinely entertaining exploration of our cosmic habitat. The book is pitched a beginner's level - but even though there was relatively little that was new to me as a reader, it was well-written enough to keep my interest. This was particularly helped when Scudder threw in an incentive in the form of a fascinating, quirky fact. For me, without doubt, the best was the discovery that mats of sulfur-loving bacteria (which could possibly survive in the atmosphere of Venus) that hang in caves are known as snottites or snoticles. The book is at its best in the earlier sections. Scudder gives us an excellent balance of enthusiasm and facts when dealing with, for example, the Moon and the planets. It get's a little thin on the Milky Way and the universe - so, for example, dark matter only gets a footnote and the reference to the cosmic microwave background is so short it's not easy to follow why it's there. It's a shame there isn't a bit more in these later sections - the book is quite short and wouldn't have become overlong by extending them a little. Interest is also kept by a good balance of illustrations - surprisingly good black and white in the inline photographs and two sections of colour plates to bring the whole picture to life. Although astronomy isn't all about pretty pictures, it's good to be reminded of what captures the imagination of many young astronomers, and Scudder is particularly good at explaining how the stunning colour images are multi-layered black and white images from different coloured filters, often highlighting the key wavelengths of particular elements. As with the relative thinness of the later sections, my only real complaint is that we could do with a bit more. Interesting asides like the snoticles really make a book like this, and there could have been considerably more of them. Detail is what stimulates the reader's imagination. So, rather than just tell us that neutron stars are 'catastrophically dense', telling us how much mass there is in a teaspoonful (100 million tonnes) or something similar really brings it home. There's also the minor irritation that the book sometimes only gives US domestic units (for example, degrees Fahrenheit) which doesn't sit well with a scientific topic. 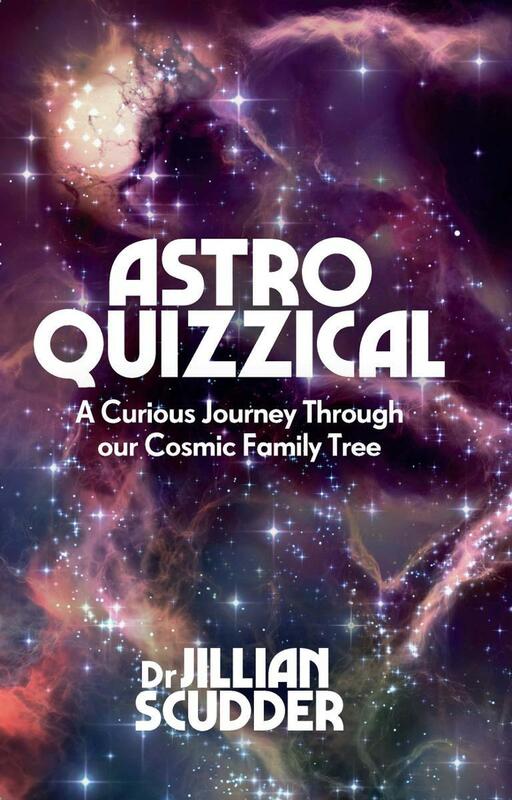 This is the kind of book that would be excellent to get either a teenage reader or an adult with limited exposure to astronomy interested in the field. It reads well and gives basic details without being patronising. It's a cosmic journey that I enjoyed.